Avoiding additional challenges and complications with your case. Here’s an overview of what you should NOT do and what you should do after a DUI to give yourself the best chances of successfully resolving your case. After a DUI arrest, the best thing you can do to protect your rights is retain our Broomfield and Boulder DUI lawyers. We will provide you with the best DUI defense so you can resolve your case as favorably as possible. Do NOT talk about the case with police or on social media – After a DUI arrest, you may be eager to tell your side of the story, clear your name and get past the incident. However, talking about the case with police (who are not on your side) or on social media is generally a bad idea. This is because any of the statements you make in such cases may end up hurting your case, as prosecutors can use these statements against you later. Do NOT miss a court date or violate court orders – As a DUI case makes its way through the criminal justice system, there will be various court dates that accused people have to show up to and court orders that the accused must comply with. It’s critical that the accused do everything they can to show up to court and comply with all court orders to avoid hurting their defense in a DUI case, as well as to avoid incurring additional criminal charges and potential penalties. Do NOT automatically plead guilty in your case – While you may feel like the world is against you when you have been charged with a DUI, it’s important for you to realize that you have rights, that DUI cases do not necessarily end in convictions and that you should fight the charges. So, don’t rollover and automatically plead guilty – or accept the first plea deal a prosecutor may offer – without speaking to a defense attorney to find out what your best options are for favorably resolving your case. DO request a hearing with the DMV – What people may not realized after a DUI arrest is that they will have two cases to contend with: the criminal case overseen by the courts and the administrative case overseen by the Colorado DMV.While accused people will not have to do anything to get their criminal case started (as the arrest started that case), they will have to specifically request a hearing with the DMV within 7 days of the date of their arrest in order to try to retain their driving privileges. Failing to request this hearing results in an automatic driver’s license suspension (the length of which will depend on the details of the case and whether a person has prior DUI convictions). DO contact us for the strongest possible defense – Of all of the do’s and don’ts after a DUI arrest, the single most important thing to remember is that retaining one of our trusted and experienced DUI defense lawyers will be the best thing you can do to protect your rights and ensure you have the strongest possible defense. 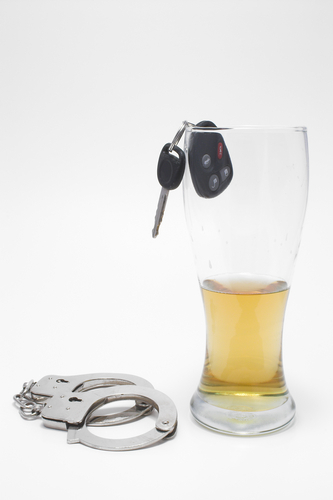 Help you obtain the best possible outcome to your DUI case.